James Gandolfini arrives at the HBO Emmy after-party following the 58th Annual Primetime Emmy Awards in Los Angeles, Calif. on Aug. 27, 2006. The current era of "Peak TV" unquestionably traces its origin back to "The Sopranos," the famed mob opera that ran on HBO from 1999 to 2007. 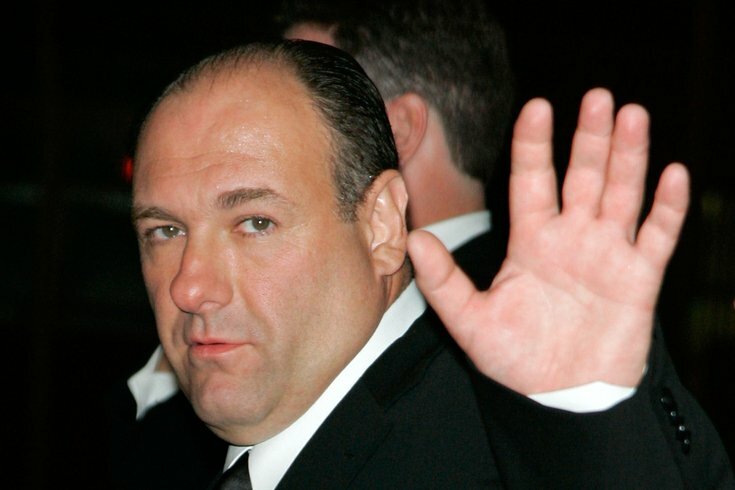 The series, created by David Chase and starring a cast led by James Gandolfini, told the story of a North Jersey mob family, but its storytelling spread out in many other directions, having memorable things to say about violence, ethnic identity, psychiatry, the immigrant experience, dysfunctional mother/son relationships, and much more. It's fair to say "The Sopranos" holds up perfectly a decade after it went off the air, and for those looking to catch up with or revisit the series, the entire run remains available on HBO's streaming platforms. But if you're looking for an even more in-depth look at one of the greatest TV shows of all time, you can now take a course on "The Sopranos," starting this week. "Made in America: Rebranding Existentialism in The Sopranos" is a four-week course being offered at the Bryn Mawr Film Institute for four consecutive, three-hour classes on Mondays starting today, President's Day, and continuing through March 12. The class is being taught by Paul Wright, a Ph.D. in the Department of English and also Assistant Provost, International Affairs at Cabrini University. It will focus on the final three seasons of the series, including its controversial, fade-to-black finale. Wright, who had been teaching classes on films and directors at BMFI for about 10 years, has recently begun to branch out to TV, teaching similar past courses on "The Wire" and "Breaking Bad," as well as the first half of "The Sopranos." Having watched the show from the beginning of its run on HBO, Wright specifically wanted to teach a course on "The Sopranos" because it's the "granddaddy" of the Peak TV era, he says. "I knew that 'The Sopranos' was the real deal, in terms of HBO's self-branding – the famous slogan, 'It's not TV, it's HBO,'" he said. There had been other strong shows on the network, such as "Oz," he said, "But 'The Sopranos' was the one that really hit the national consciousness and got the critical acclaim and the awards and the ratings, that showed HBO was going to be leading the charge." The four-week course will include clips and analysis of scenes, as well as course readings, on everything from academic analysis from the film studies, political science and psychiatry fields to "The Sopranos" section in 2016's TV: The Book, which was authored by TV critics Matt Zoller Seitz and Alan Sepinwall. The two critics, both of whom began writing about the series for Tony Soprano's hometown paper, The Star-Ledger, and helped pioneer online TV recap culture, are currently at work on a book specifically about the series, which is set to arrive next year. Wright assumes that most people taking the course will have watched the entire run of "The Sopranos," but that his TV courses in the past have occasionally included newbies who took the course in order to catch up. The course will also delve into such topics as how well the show holds up today, as well as the so-called "bad fan" problem, in which many fans of series like "The Sopranos" and "Breaking Bad" find themselves rooting for criminal antiheroes as if they were heroes. While this is common in the history of the gangster genre, Wright said, "The Sopranos" was notable in its examination of that question. "The show is painting very profound moral questions about the behavior of our protagonist," he said. As for his favorite episode of the series? Wright says it's "Kennedy and Heidi," the sixth season installment featuring the death of Michael Imperioli's Christopher Moltisanti. But Wright especially admires the way the series wrapped up – including that controversial series finale. "The goal was to bring edginess, and risk-taking, in the tradition of the French New Wave," Wright said of the show's infamous final moments. "It was a way of denying Americans the closure they want." Wright, who also will address Chase's rare willingness to confront and defy the expectations of his own fans, said he is of the belief that there's no secret explanation of Tony Soprano's fate, and it was kept ambiguous because it was meant to be ambiguous. Overall, Wright believes the series continues to resonate because, while some aspects of it are specific to its time – such as the view of the Twin Towers in the opening credits in early seasons – others are more universal. "I do think it's something special. It's influenced the way every other show has tried to reflect narrative. I think the show is more alive than others because of that." "Made in America: Rebranding Existentialism in The Sopranos" costs $100 for BMFI members and $125 for non-members. Sign up here.